Are Online College Courses Worth it? 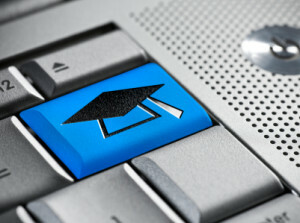 Are you debating whether or not you should enroll in online college courses? While online distance education technologies have come a long way since they were introduced to the public in the 1990’s, online courses that are offered by universities and for-profit schools are not created equally. You must take the time to assess the costs of attending school online versus attended a traditional school and also consider the reputation of the school and the professor. When you are paying to attend school to further your career, you want to gain the knowledge and the skills that will provide the maximum return on your investment. Read on to determine if taking online courses is really a worthwhile endeavor. What is the Attitude Towards Online Degrees in the Field? The attitudes towards degrees that are attaining by attending an online course have changed, but not all employers and recruiters have a positive view of online degrees. You must consider the type of degree that you are pursuing and also the job title you would like to eventually hold. A recent survey indicated that 2 in 3 employers will place the same value on an online degree that they would on a traditional degree if the institution in accredited. With this being said, the 1 in 3 that does not associate the same value may be in a field where face-to-face instruction, socialization, and critical thinking are very important. This is a factor to consider before enrolling in an online college course. Whenever you are deciding if one degree is worth earning, you must consider the out-of-pocket costs that you will incur. The costs of an online degree vary dramatically, but costs incurred can be much lower than the traditional degree programs. As long as you take an accredited online degree program, and employers in your field do perceive online degrees highly, saving money by taking courses online can be beneficial. If you are taking a program with a community college or a university that offers online degree options, you can keep your tuition rates down. If you take a program through a for-profit school, you must consider the cost of tuition and other additional fees you must pay. Through most comparisons, the actual tuition costs of traditional and online programs are comparable, but the other advantages of attending college online are persuasive. Many times, the text books are much more inexpensive when attending school online. In addition to this, you do not have to spend money on transportation to and from school, which cuts down on your cost of gas or transportation fees. Because online degrees are much more flexible, you can also work and study at the same time to cover some of the cost of tuition. Resource: Is it Cheaper to Get a Degree Online than On Campus? When you earn a degree, it is meant to give you an advantage in recruiting and a more valuable position. Start comparing several different online providers, look for schools with a regional and a programmatic accreditation, and then compare the costs. If you can find online college courses that are affordable and have a good reputation, they may be worth the investment.